If you manage an activity venue. selecting a contractor can be a difficult process. You will need an activity contractor that you can trust, that will work your way and that will integrate as seamlessly as possible into your team. We want to help. We specialise in providing activities to supplement a venues existing activity portfolio; from the instructors and equipment to the images for your website, we are happy to provide everything you need to make the process as easy as possible. Experience the Country deliver motorised activities on the Hounslow Hall Estate near Milton Keynes. Working with On Targett Events they were able to add 8 additional activities to offer their clients, allowing them to appeal to a wider clientele and to handle larger groups. 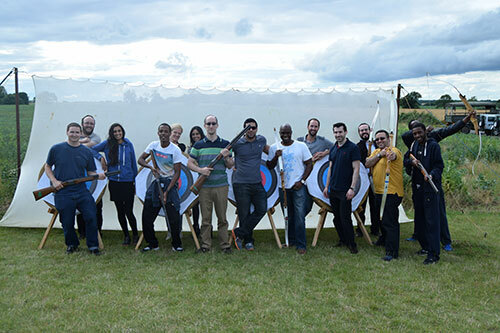 EJ Churchill was voted the UK’s best clay shooting ground in 2017, and chose On Targett Events to supply them with axe throwing, archery and air rifle shooting activities to re-enforce their strong clay shooting pedigree. Hi5 Events operate at many sites in the UK and work with On Targett Events to increase their capacity during busy periods. With the Launch of the MyActivities Brand at Whittlebury Hall and Spa, On Targett Events operate on behalf of the brand, delivering activities on the estate under the MyActivities Logo.